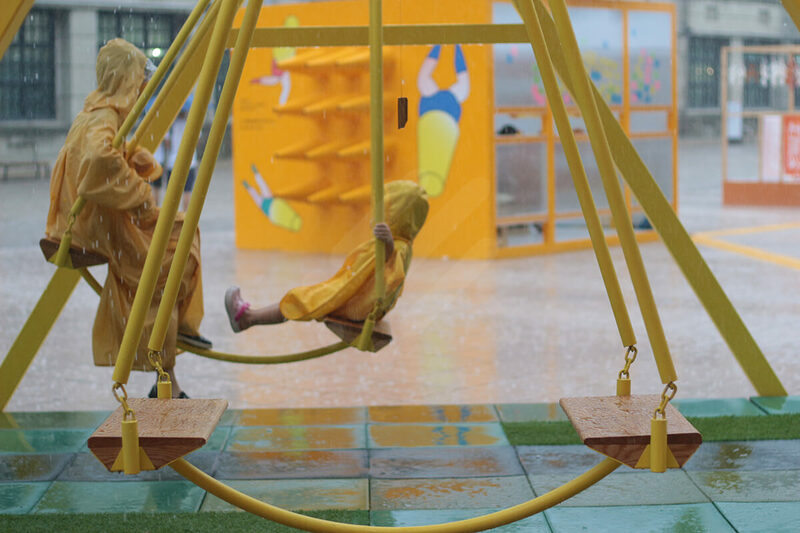 © 2018 seed spacelab co.
Frolicking, playing, and having fun are shared memories among many people. 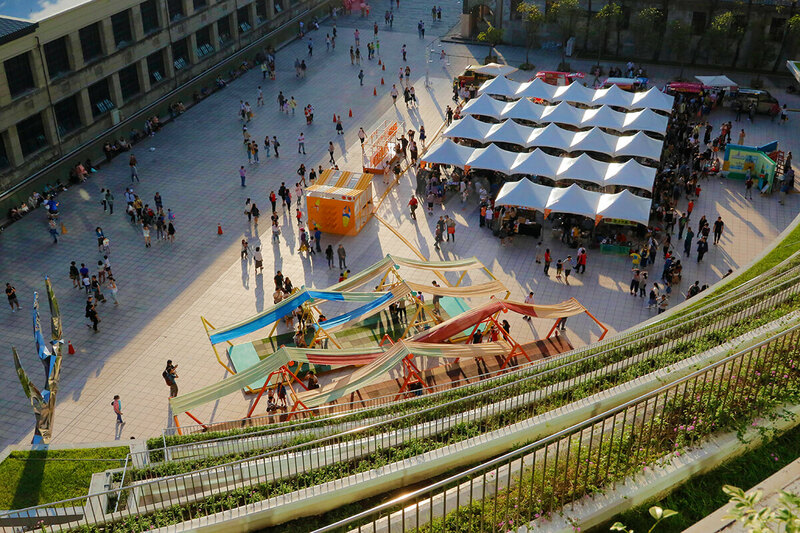 Noticing Taipei City’s lack of soft and colorful places, the Seed SpaceLab expects its enchanting XYZ Play-ing: City Swing to captivate the crowd in the square, creating a lively and electric urban atmosphere in a collective fashion. 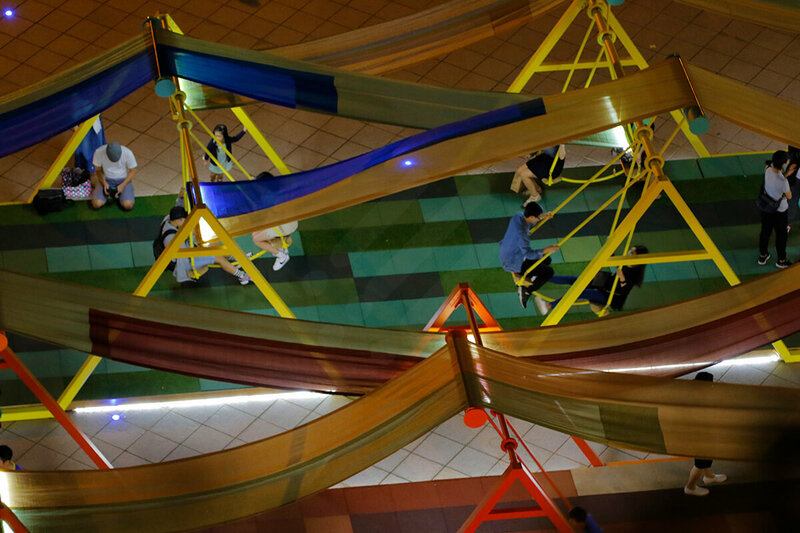 Swinging through the air, the pendulum’s motion is as mesmerizing as the intervals of ocean waves. Standing on a neighboring building and looking upon this sight, you’ll find it resembling a loom working amid iridescent colors. 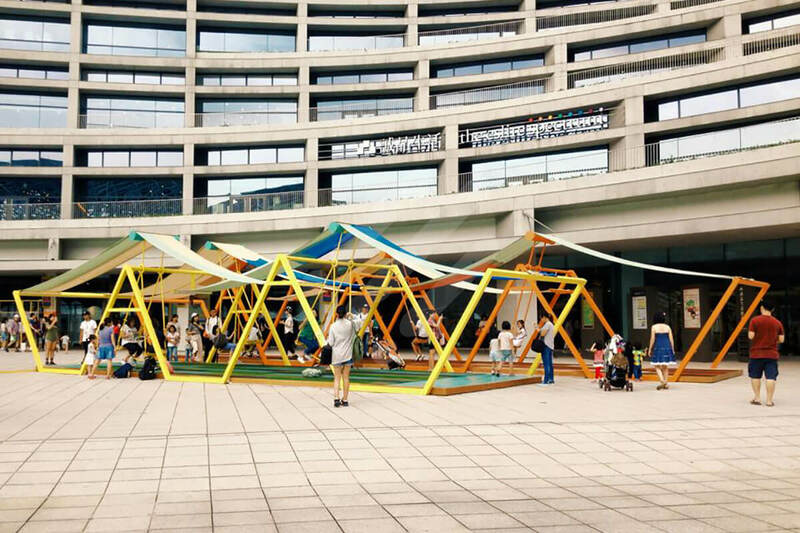 The crowd weaves joys with childhood fantasies while swaying gently in the three vectors of the dynamic adventure playground. The city is in turn given feedback of players’ expressions of pleasure. 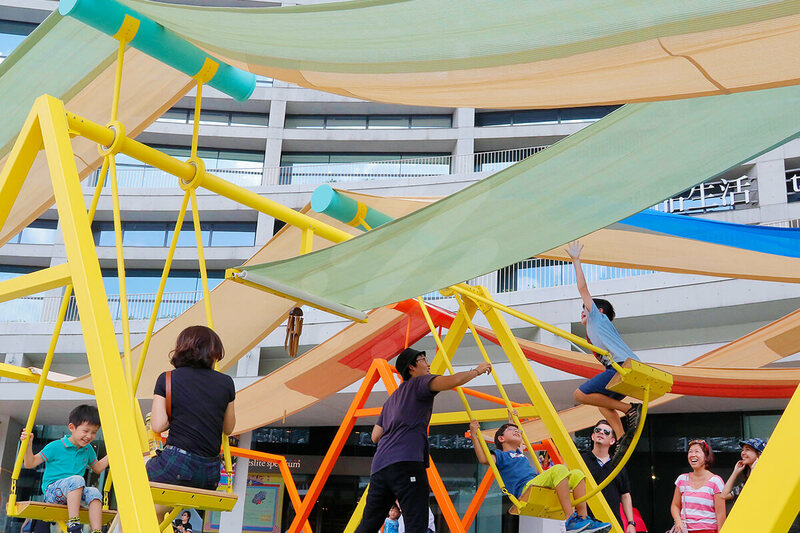 XYZ Play-ing: City Swing allows the crowd to jointly organize a simple space, linking individual experiences into collective memories of frolicking here and now. Besides, it not only adds an animated touch to the mundane urban life, but also alleviates the impact of the thick, oppressive concrete jungle. 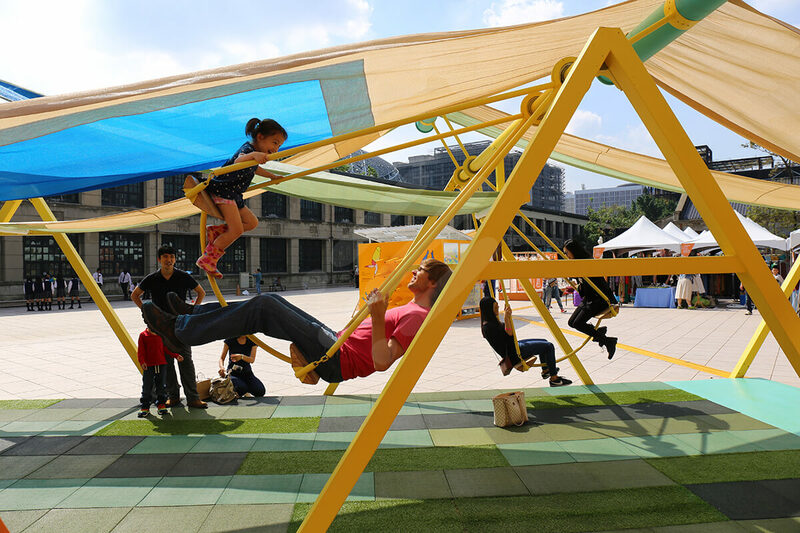 All the swings of this installation ultimately produce an aggregate output of “new urban experiences” shared by the city’s inhabitants.